SPRING SCHEDULE RELEASED! NEW CLASSES! Discover your inner vamp while learning to create a sumptuous hand-tied bouquet using a selection of the darkest flowers and foliage. Drawing from a palette of velvety crimson, blood-red and black; create something beautiful for yourself or a loved one. 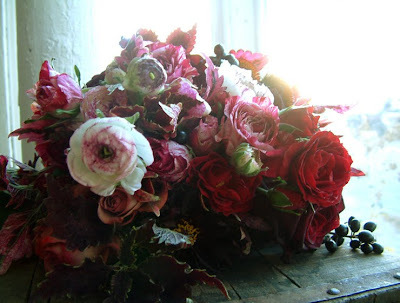 This is a Basics class inspired by the delicate fragrant flowers and foliage of early spring. 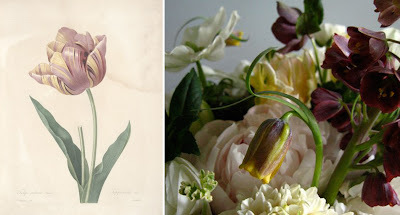 Drawing from a selection of hyacinths, muscari, tuberose, rose geranium, narcissus, parrot tulips and fritillaria we'll discuss basic color theory, proper handling, and arranging techniques. Each student will create their own fragrant arrangement to take home. This is another Basics class. 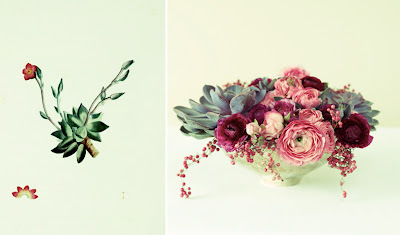 We'll demonstrate the beauty of combining succulents with flowers. Using a variety of succulents, air plants, moss and flowers, each student will create their own low and lush garden-scape style arrangement. 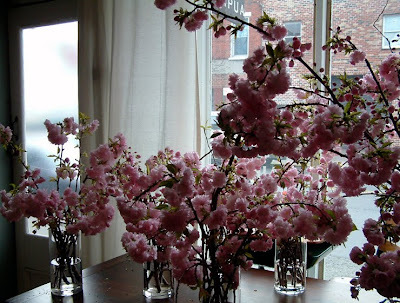 In this basics class we'll usher in the season of the Cherry Blossom! In all their bubble gum pink glory, we'll use the cherry to build wildly lush arrangements that celebrate the first warm days of the year. Focusing on a palette of tonal pinks from muddy tea-stained hues to deep mauves and pale rosey blushes. I am happy to see a two-hour class option for Valentine's Day! Unfortunately, I will not be in town, but would love to see more classes like this in the future. Thanks! i also love the two hour format, especially since my husband would probably drive me to the class and wait for me.